LONDON (Reuters Breakingviews) - Europe risks sacrificing its antitrust principles at the altar of global competitiveness. That’s a dangerous precedent, particularly since would-be partners Siemens and Alstom are hardly desperate for a deal. LONDON (Reuters Breakingviews) - Cracks are showing in the $97 billion Vision Fund. That undermines the idea of SoftBank boss Masayoshi Son as a tech sage, and makes life harder for his dealmakers. MILAN/LONDON (Reuters Breakingviews) - Remo Ruffini could be Italy’s answer to Bernard Arnault in 2019. Since rescuing Moncler in 2003, the entrepreneur has rejuvenated the brand into a goose-down success story. There’s a long way to go before he can use the growing strength of 7.5 billion euro Moncler to create anything like Arnault’s LVMH, worth 130 billion euros. But if he fancies building the first Italian luxury aggregator, now is a good time. Italian luxury is fragmented and valuations are historically cheap — the sector trades on 25 times expected earnings, compared to a five-year average of 28 times, Refinitiv data shows. Sales at upscale shoemaker Tod’s have been falling since 2014. Salvatore Ferragamo also struggles with revenue, and is in flux after matriarch Wanda Ferragamo’s death. Unlisted players like handbag-maker Furla may also come up for sale. U.S. and Chinese buyers have noticed. Michael Kors paid a hefty $2.1 billion for struggling Versace in September. China’s top textile player Shandong Ruyi and conglomerate Fosun snagged Swiss brand Bally and French couture house Lanvin respectively. Still, the rise of an EU-sceptic government in Rome embracing shaky budget policies could put a brake on global buyer enthusiasm. That gives Ruffini an opportunity to consider going beyond Moncler. The Italian is doing something right: sales jumped by 15 percent in 2017 and should do so again in 2018. His skills could be deployed to battle the generational shifts and changing consumer habits undermining some storied Italian brands. Investors who bought Moncler shares when it debuted in 2013 have seen total returns double, beating all listed peers bar Hermes. At 35 percent, Moncler’s EBITDA margins are second only to the famed French handbag maker among luxury players in Europe. And Ruffini is no stranger to M&A: in October his family vehicle Archive bought a 49 percent stake in small Italian fashion brand Attico. LVMH and peers Kering and Richemont are so shaped because their size brings economies of scale and diversification benefits. Although Moncler’s flagship jackets are in vogue, acquiring leather goods or watches could hedge against fickle tastes. If Ruffini can overcome Italian luxury’s traditional rivalries and get second-generation potential sellers onside, the path to Arnault-style status could be his. LONDON (Reuters Breakingviews) - SoftBank's Vision Fund is due a writedown. The Saudi Arabia-backed tech investor, with $97 billion at its disposal, reported a 27 percent gain on $28 billion of investments as of September. That success will reverse in 2019.  LONDON (Reuters Breakingviews) - Europeans often bemoan the lack of home-grown technology groups. Germany’s Wirecard and Netherlands-based Adyen, whose combined value has soared to 43 billion euros, are notable exceptions. They can justify the hype. Wirecard passed a symbolic milestone on Wednesday when the company replaced Commerzbank in Germany’s blue-chip DAX index. The 23 billion euro group is worth more than Deutsche Bank, and trades at 40 times forward EBITDA – roughly double the valuation of Visa, Mastercard and others who process electronic payments. Adyen, whose shares are up 174 percent since its June listing, is valued at an even headier 118 times 2018 EBITDA. Strip out the jargon, and these are relatively simple businesses. Adyen hooks companies like Netflix and Spotify up to networks run by Visa and Mastercard. It charges a small fee for taking on the risk that transactions fail. Wirecard does the same, although for smaller businesses, and sells services like payment cards. Customers like the pair’s low transaction costs and slick technology, which drops relatively few payments and allows merchants to see useful shopper data. Last year, global electronic payments hit $23 trillion according to the Nilson Report. The data provider reckons the market will grow 10 percent a year, implying volumes of $40 trillion by 2023. Based on Adyen and Wirecard’s average charge of 0.5 percent last year, using Berenberg estimates, that implies about $200 billion of revenue may be up for grabs for intermediaries in this part of the payments chain. Assume Adyen’s net revenue increases by 30 percent a year, near the middle of its targeted range, while Wirecard’s top line expands by 20 percent annually. Together the two would have net sales of $4.4 billion by 2023. That would be equivalent to a 2 percent share of the market. They’re currently at 1 percent, using last year’s results and the same fee structure. Increased scale should boost already-high margins. Risks are plentiful. Competition may force down fees, while tech giants could cut out middlemen altogether: in China, Alibaba and Tencent connect buyers and sellers directly without the need for payment processors. Still, Adyen and Wirecard’s technology took years to develop. Western tech giants are just getting started on their payment networks. That gives the European pair a greater chance of fulfilling their growth expectations – and rewarding giddy investors’ prepayment. LONDON (Reuters Breakingviews) - Soccer is a simple game, the England striker Gary Lineker once remarked. “Twenty-two men chase a ball for 90 minutes and at the end the Germans win.” The quip was on the mark four years ago, when Germany beat Argentina to lift the World Cup in Brazil. If hard numbers have any predictive power, it will once again prove correct when the battle for the sport’s ultimate trophy reaches its climax in Russia this summer. LONDON (Reuters Breakingviews) - Donald Trump’s trade war risks a German carmaker backfire. BMW and Daimler sell a surprising number of American-made vehicles in China. Were the U.S. president’s tariff-war rhetoric to become reality, carmakers could shrink U.S. production. If he wants to keep jobs rather than lose them, he should seize a new olive branch from Beijing.